As the New Year quickly approaches (i.e. 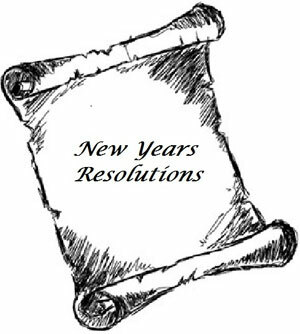 tomorrow), a few of our blog contributors have come up with their 2014 New Years Resolutions with regards to their woodworking (and some personal ones as well). While I’m sure most of you don’t know, I had major back surgery in March, 2012. Luckily I’m making decent progress, even though I’m not 100% yet. As one personal gloat, I have to tell that I did finally complete my Les Paul guitar and even sprayed a decent surface, both were #1 and #2 on my list for last year! 1. I’m planning to build a hanging tool cabinet, so I can both be more efficient in having my most-used tools close at hand, and also getting my hand planes and other tools away from some dust. I plan to build this before the Lie-Nielsen Open House in July. 2. I plan to build an upgraded workbench. I’m finding the short length of the current bench is very limiting when trying to plane longer pieces, such as back legs for chairs, or even a potential neck-through Bass guitar. intend to see what I can do. 4. This one is just barely on the fringe of woodworking. I will continue my physical training, to strength my body and to primarily regain my old walking gait. I’m finally back to the point where I am spending multi-hours in my shop at a time, hand-planing, sharpening, building…you get the idea. With the continued treadmill and BowFlex work, it won’t be long until people won’t be able to tell I even had surgery. Prior to my back surgery, I loved getting outside and playing golf. I am continuing to swing the clubs, as this movement assists in the progress of my balance, in conjuction with the aforementioned exercises. I am to the point where I believe I can try playing a round (or at least 9 holes, if the body isn’t quite up to it yet), so I have to just keep pushing and testing the body! I’ll continue this resolution point until I am healed 100%! 5. I will continue to strive for progress in my writings (Blog articles, both Highland and personal), and hopefully provide valuable information and entertainment. Feel free to contribute your own Woodworking New Year’s Resolutions under “Comments” below.